You are here: Home / WordPress Tutorial For Beginners / How do I use the different post Format types? 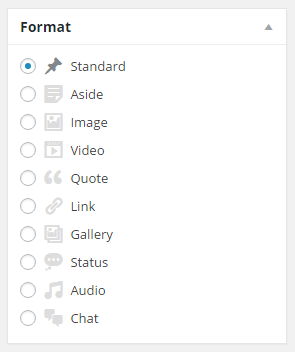 You might have seen the format section in the right hand sidebar of the post editor. Remove the Gravatar and post info text. Increase the font size etc. In the theme we’re using for these tutorials, Twenty Sixteen, the post format choices don’t have a big effect on the look of the site. Visit this theme’s blog listing page and scroll down to the orange box. 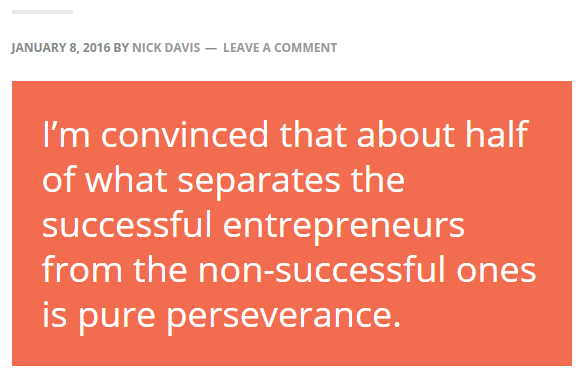 This is an example of a quote post format that has special styling. The post format options are different for every theme. Experiment with the theme you use and see if it looks any different. 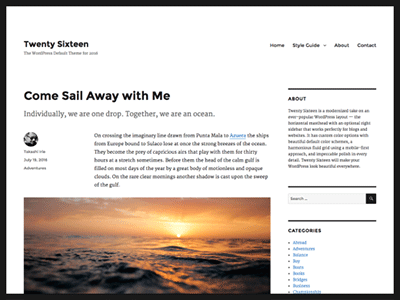 If you’re a WordPress beginner just remember that post formats can change the styling of different types of blog posts. All you have to do is choose the relevant post format from the list before you save your blog post. But don’t be surprised if nothing changes. Many themes do not have any special styling applied to post formats. Previous Post: « How do I organize my content using categories and tags?